Designer Kathryn Ireland once said a wise thing about home decor that, “Serious is a word that must be entirely avoided in terms of decoration”. Breaking away from seriousness in furniture, we have for you an offbeat design of a dining table chair. This modern chair by Baxton comes with a back designed with an intricate pattern, while outlined with cobalt blue upholstery. This one is an ultra modern, eccentric addition for your dining room as well as living room. 1. 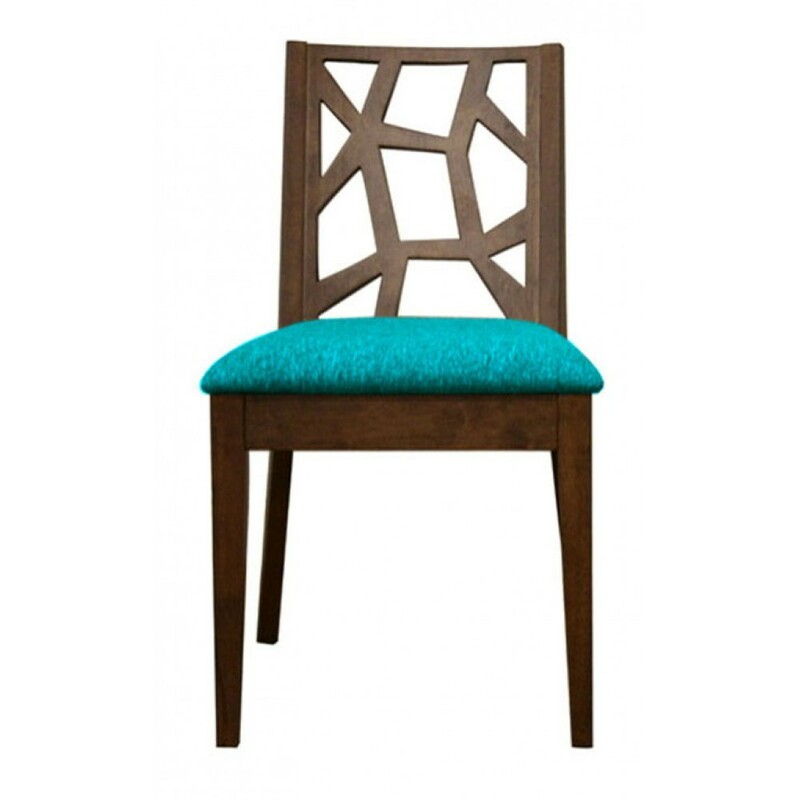 Contemporary brown wooden chair upholstered in shade of blue color offers wide and comfortable seating. 2. 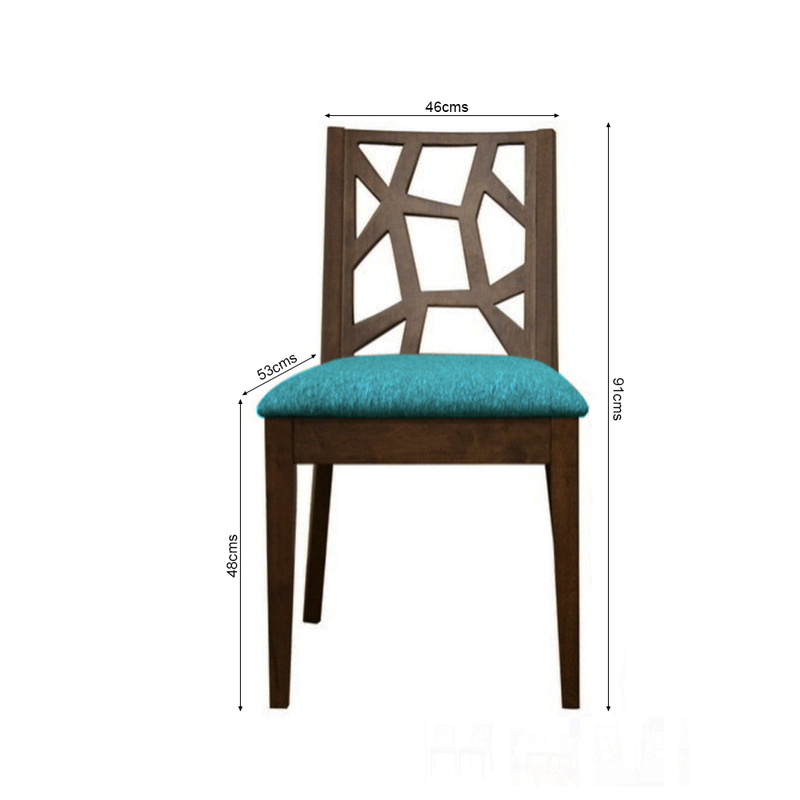 The artistic design across the backrest provides for both added support and style.